Wed., Oct. 11, 2017, 4:51 p.m.
Gonzaga women’s basketball hosts the annual Numerica Fan Fest in the Kennel on Saturday. The doors will open at 3 p.m. with season tickets available for pickup on the 63 Court in the Martin Centre from 3-5. The 2017-18 introduction video will be unveiled at 4, immediately followed by player introductions, manager introductions and coaching staff introductions, with head coach Lisa Fortier addressing the crowd. A game of hot shot with students and players is scheduled for 4:12 with a 3-point shooting contest among the GU players at 4:21. The Zags will then participate in a 16-minute scrimmage with 4-minute quarters. The players will sign autographs in the east lobby of the McCarthey Athletic Center at approximately 5. Posters and schedule cards will be provided by Gonzaga marketing staff. No outside items will be allowed during the autograph session. Numerica Fan Fest in the Kennel will be the public’s first look at the 2017-18 women’s basketball team. 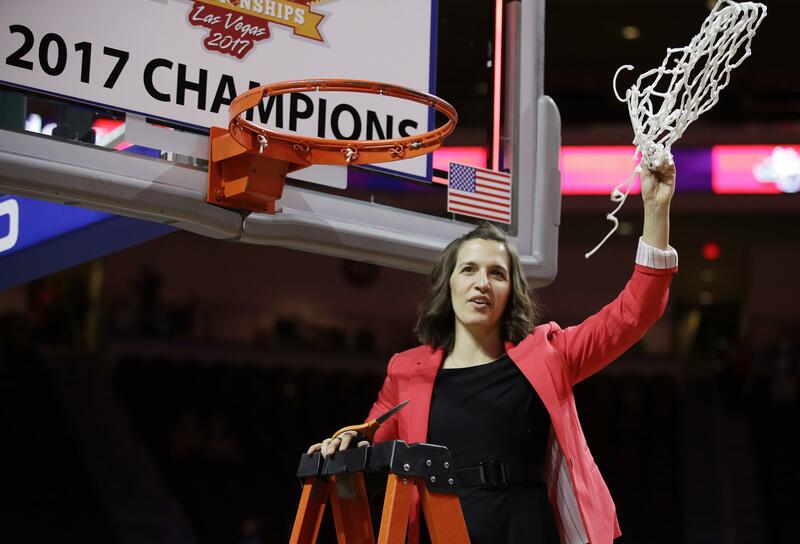 Last season, Gonzaga swept the West Coast Conference regular-season and tournament titles and returned to the NCAA Tournament. Published: Oct. 11, 2017, 4:51 p.m.